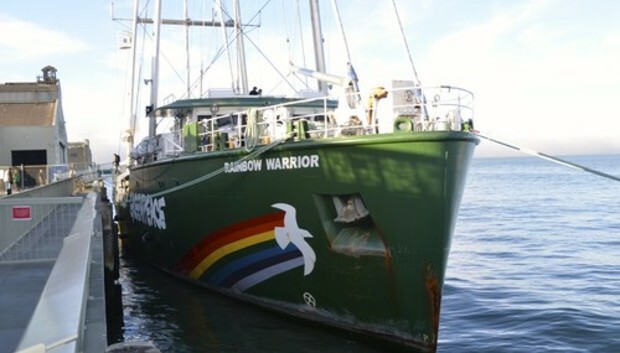 Greenpeace brought it's new Rainbow Warrior ship to the San Francisco Bay this week and we got a chance to have a look around. The first campaign ship purpose built for Greenpeace, it was launched in 2011 and is unique in many ways. It has towering, 53-meter A-frame masts that allow it to carry more sail than other ships its size, and the helicopter pad at the stern is highly unusual for a sailing vessel. Here's a slide show that gives a look around the ship and provides more information.